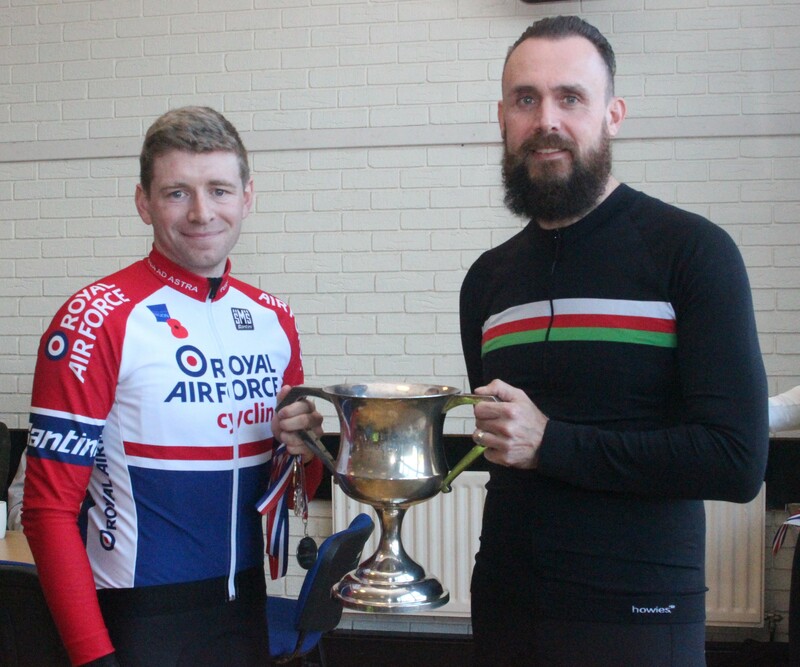 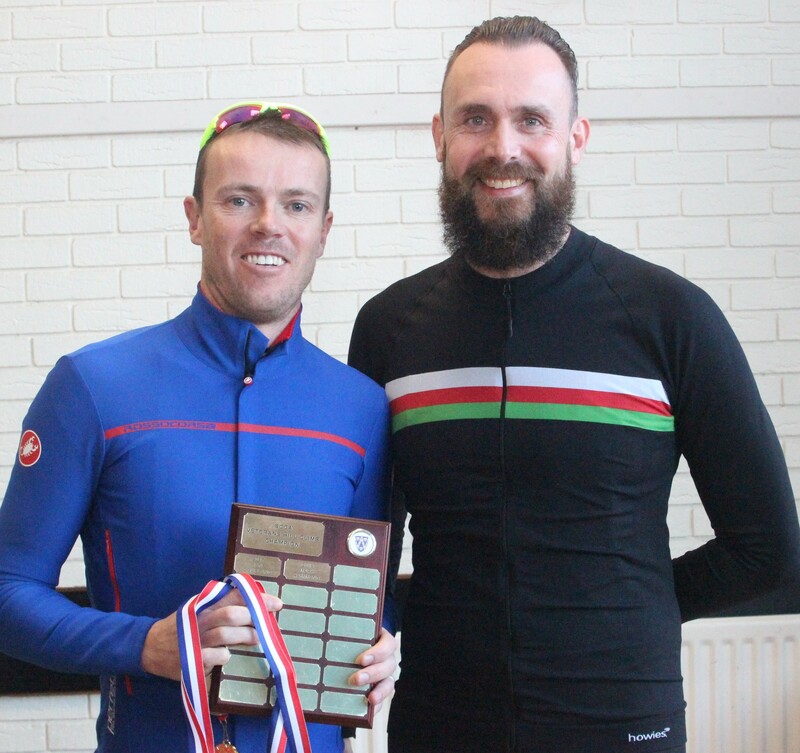 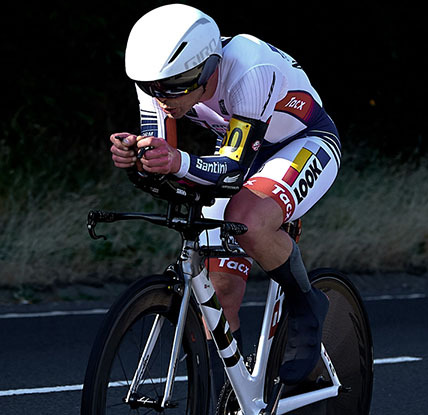 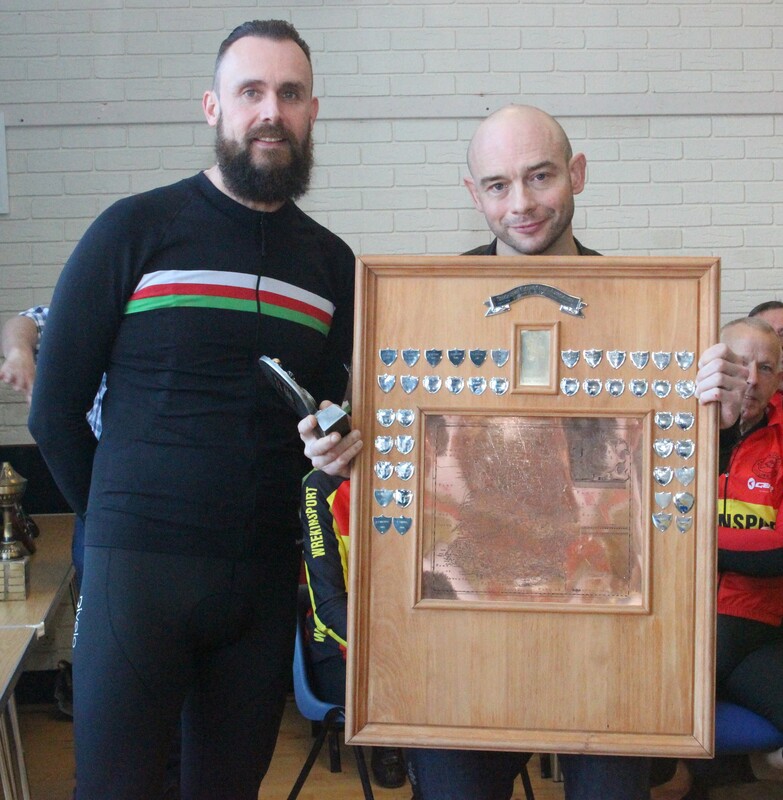 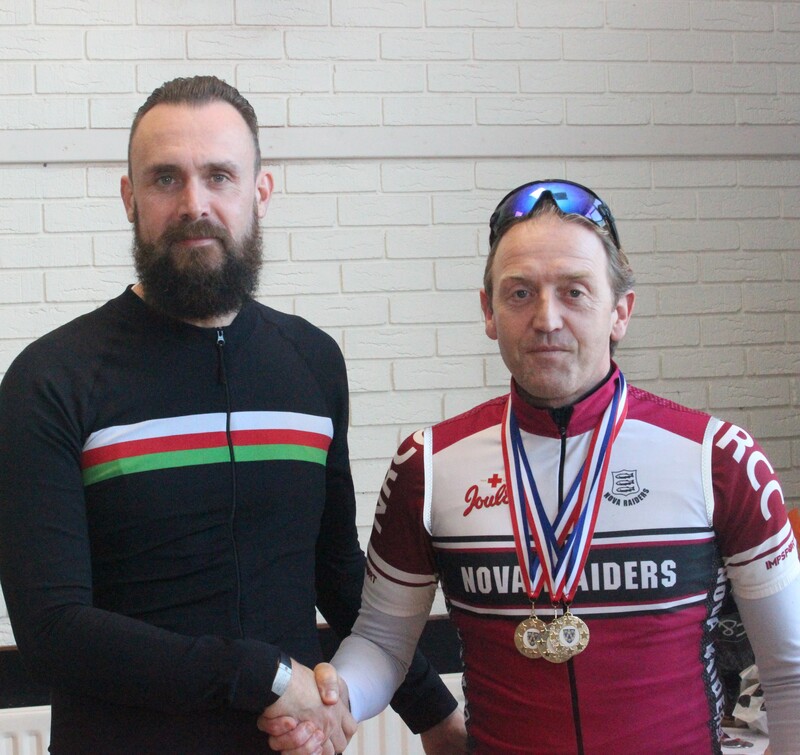 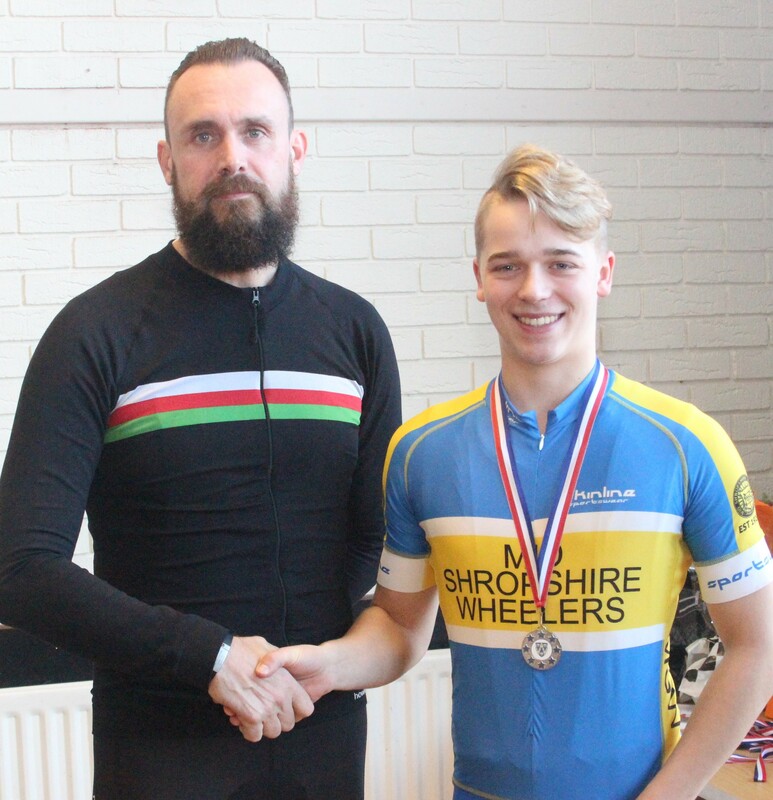 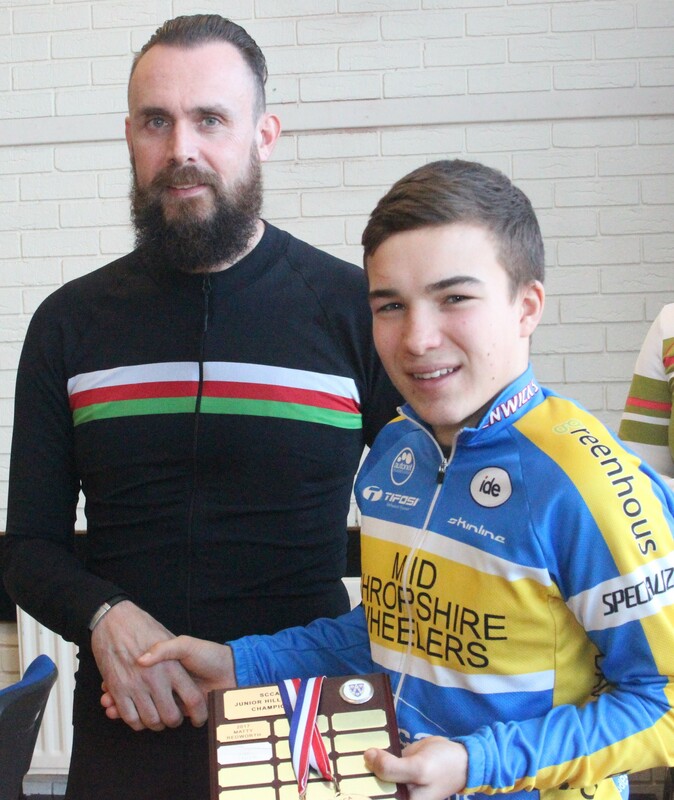 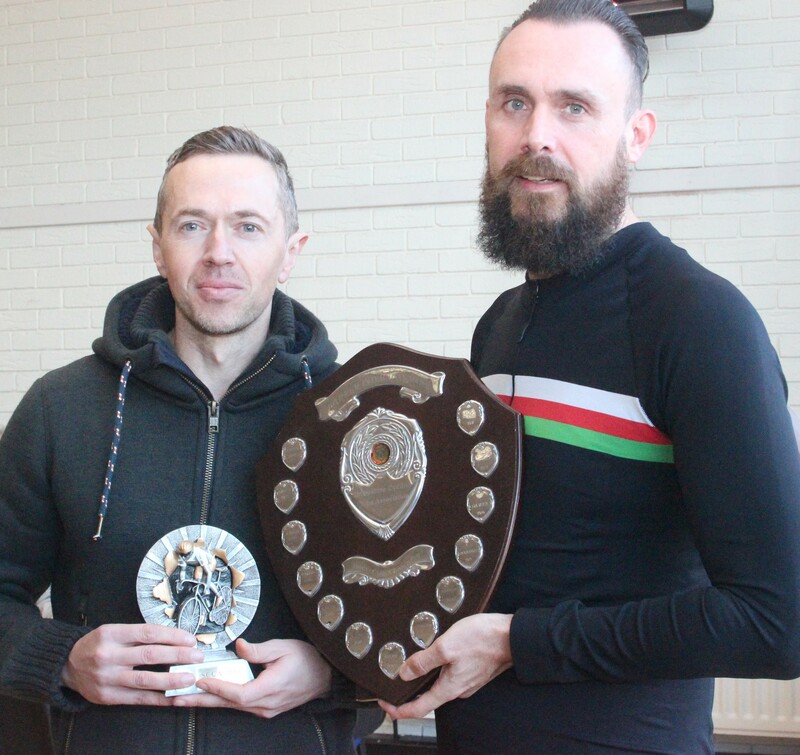 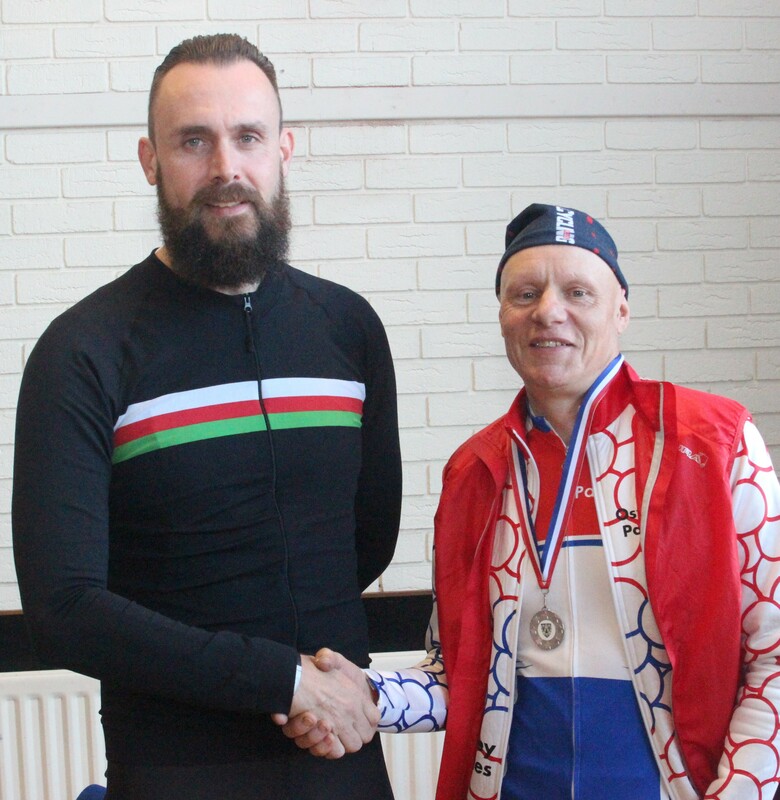 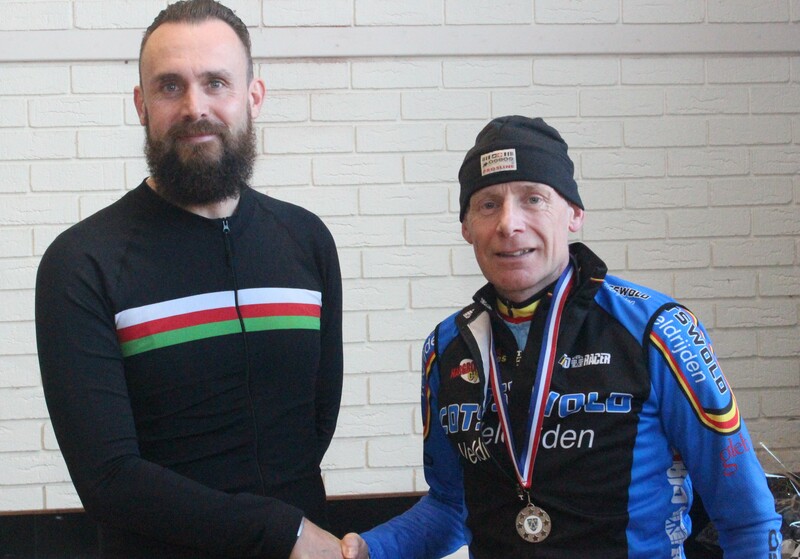 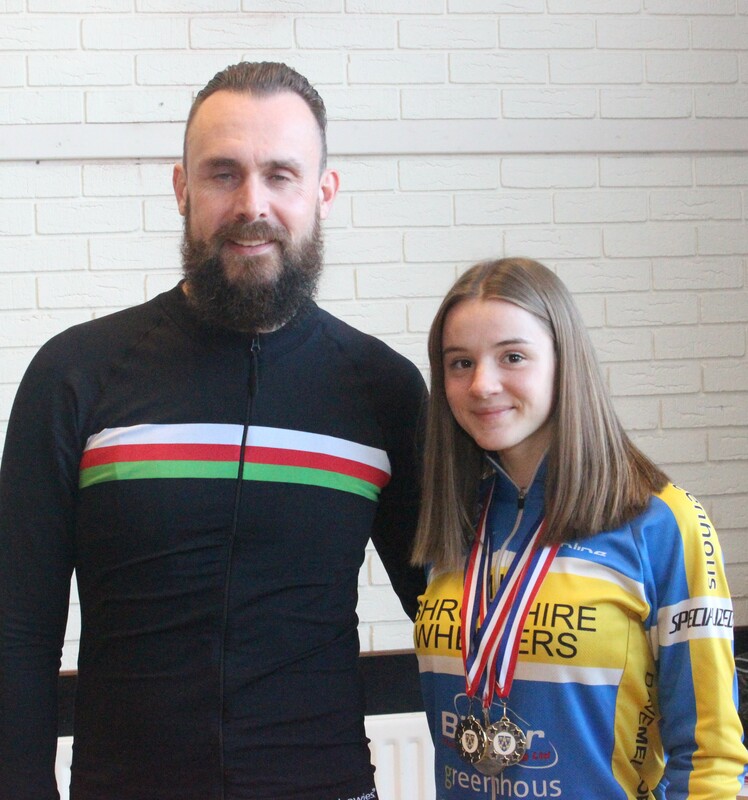 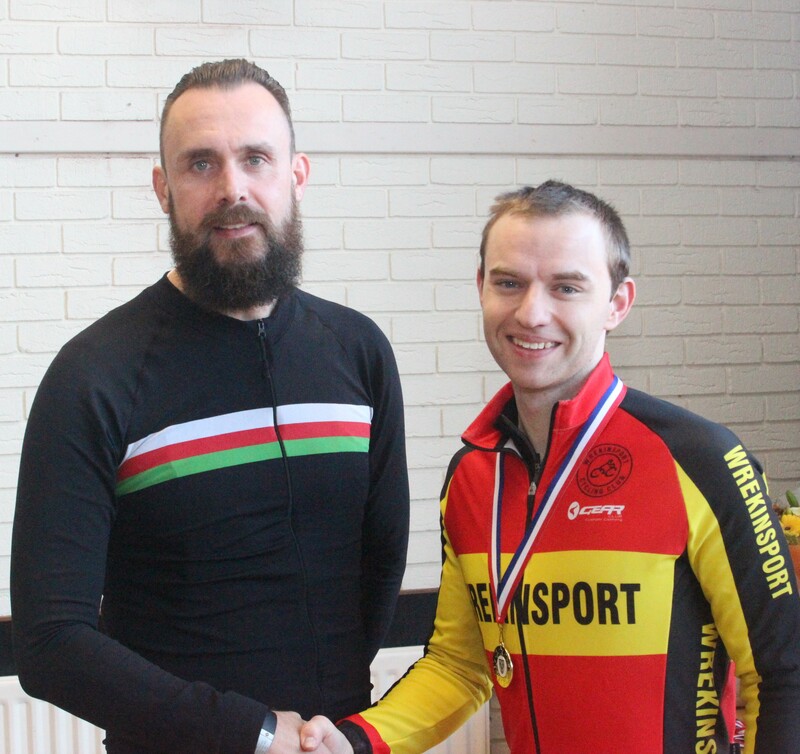 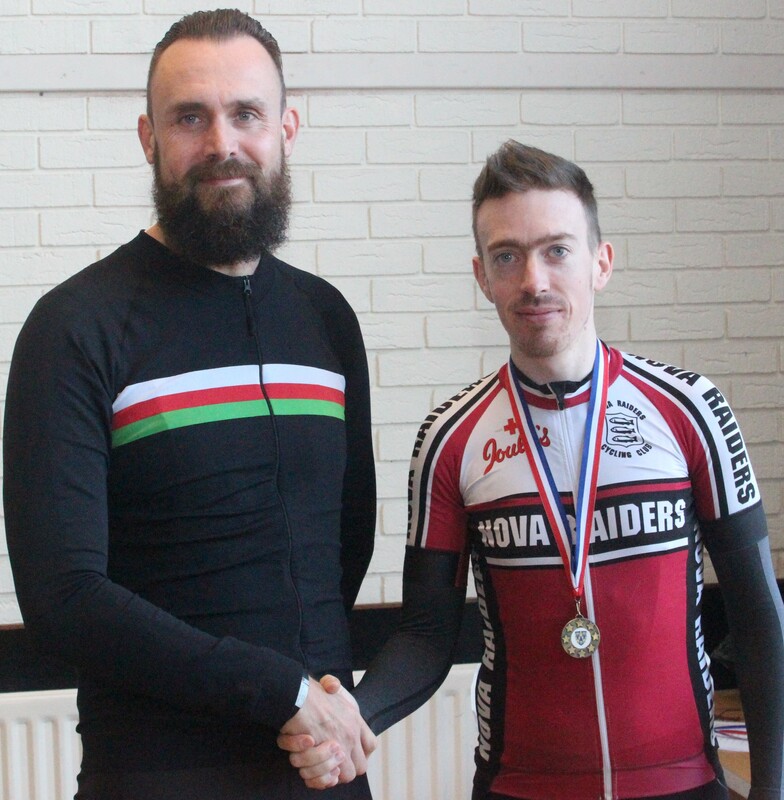 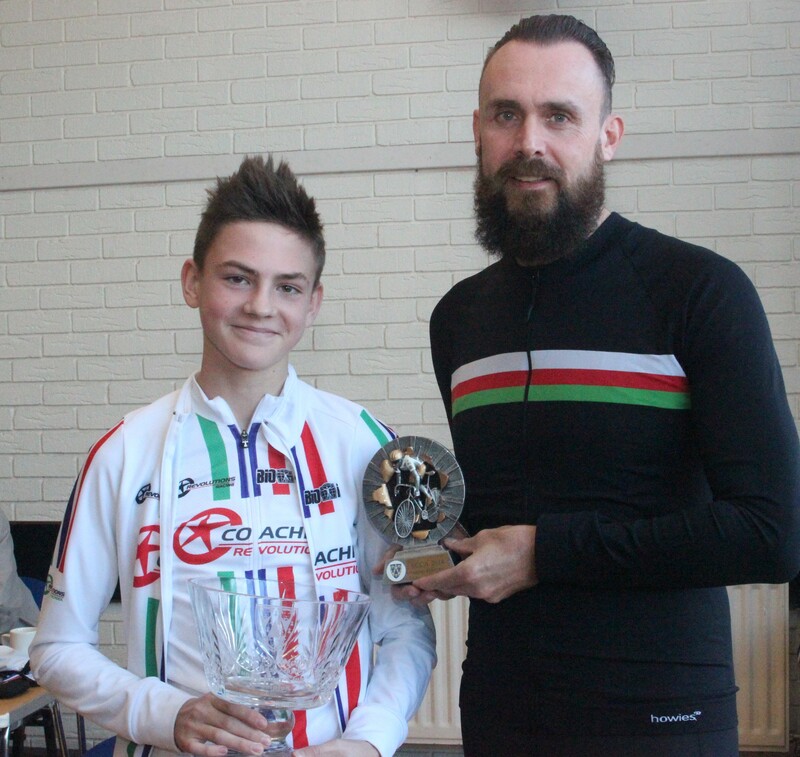 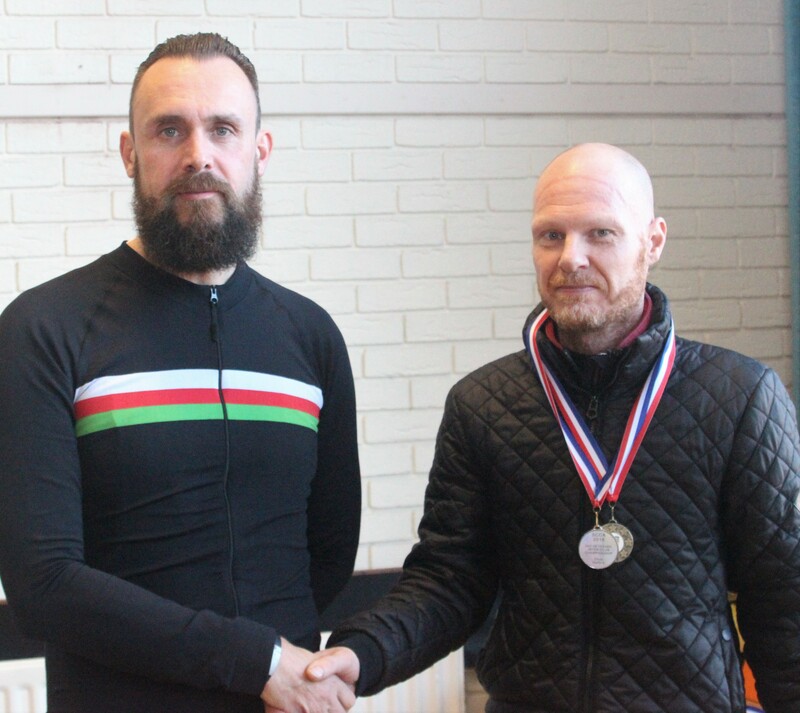 The annual celebration of the best of competitive Shropshire cycling saw a good turnout of round 85 riders and supporters cheer on the season’s winners at Ellerdine Village Hall as club runs converged from all points of the compass. 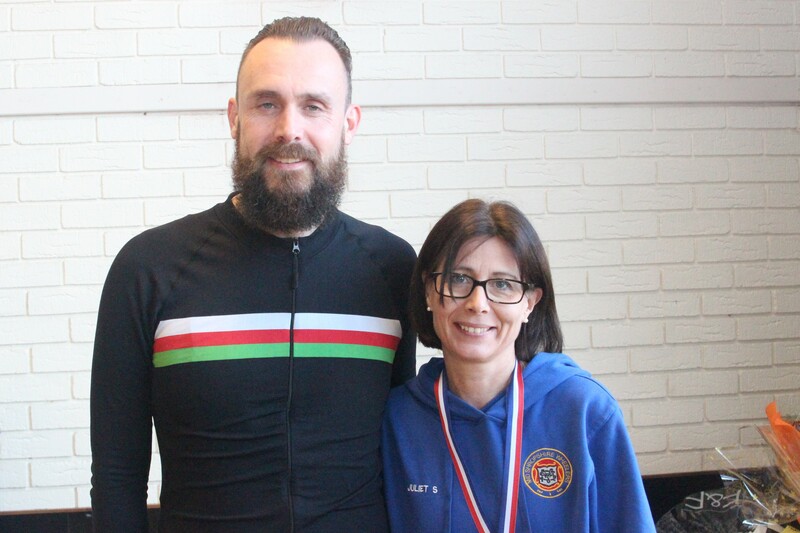 Many took the opportunity to catch up with club mates and friendly rivals from other clubs at the preceding social before the presentations got underway. 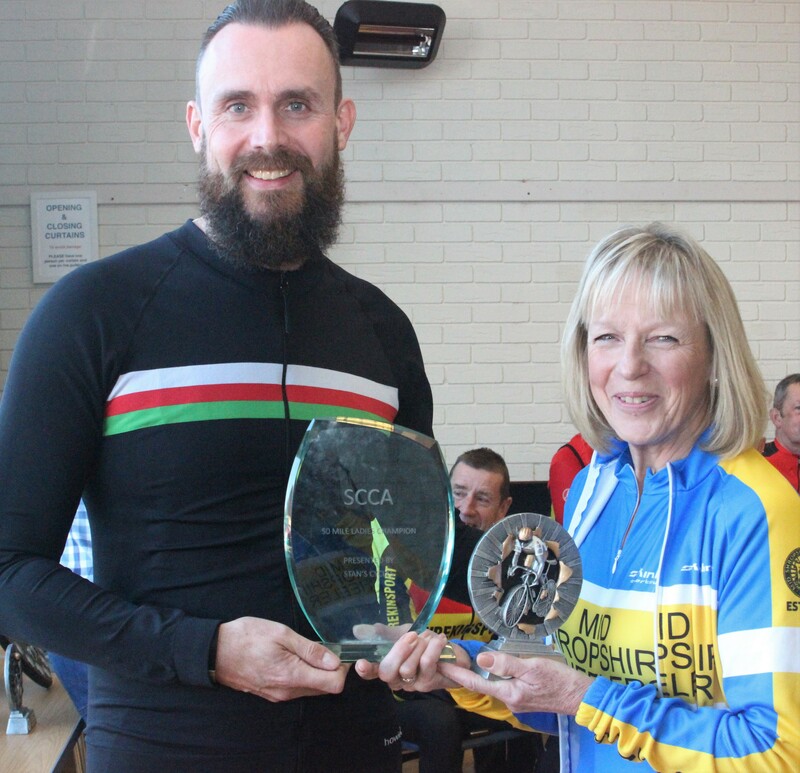 With 141 individual medals and 37 Trophies available to win across a wide range of competitions and distances SCCA Chair Helen Tudor had her work cut out announcing the awards – but not before her opening remarks where she commented on the rich, varied and active competitive cycling scene in Shropshire, contrasting it with other areas where the sport is struggling. 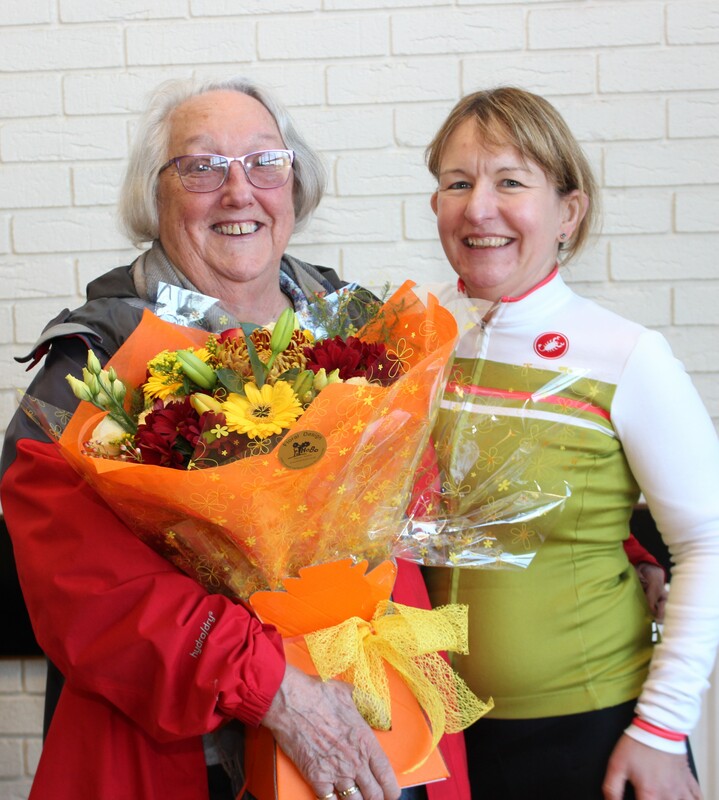 She continued by thanking the committee of Ellerdine Village Hall for their excellent support throughout the season and the warm welcome always received which drew the first big round of applause from the audience of the day. 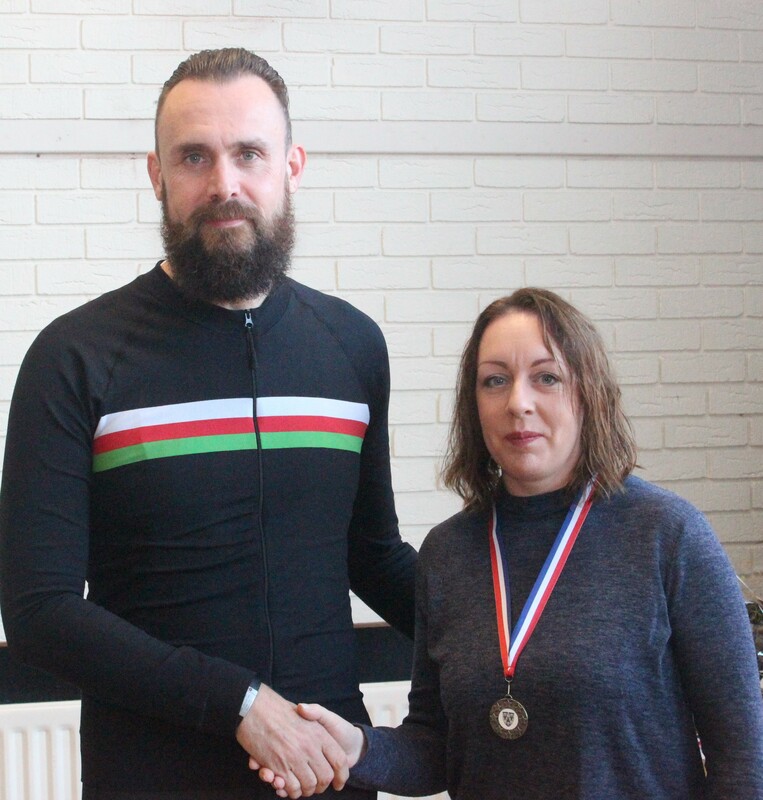 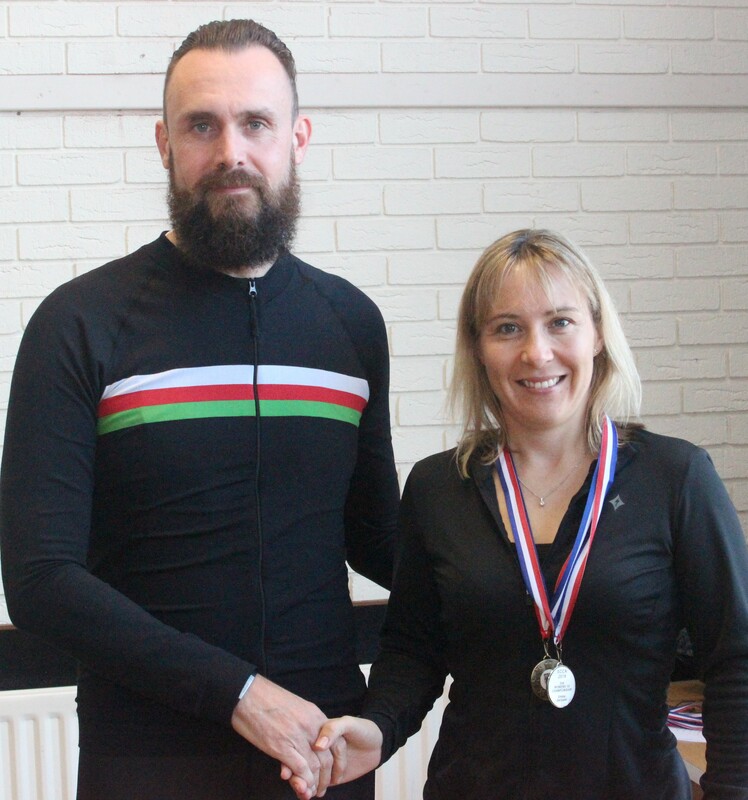 Helen then introduced Guest of Honour Sean Lacey to hand over the awards, commenting that many would know him not only as a Newport Shropshire CC member but as a frequent contributor to Cycling Weekly magazine. 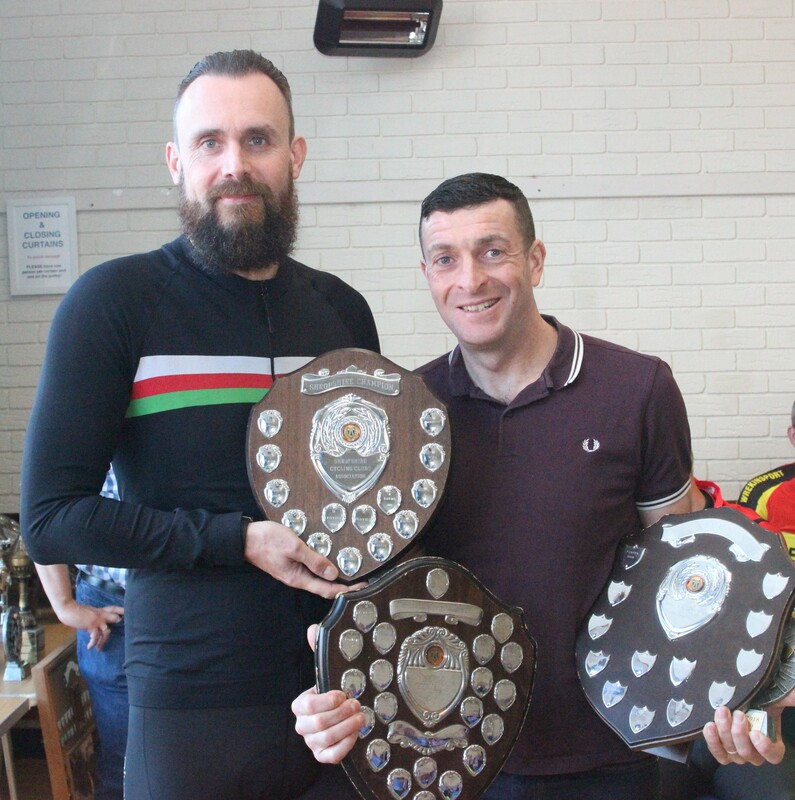 Regardless of their club all the winners received a good level of support from the floor, with major winner Victor Chetta taking home four trophies including the huge Cliff Ash Best all Rounder Award for the 5th year running, cementing his place as a major County talent. 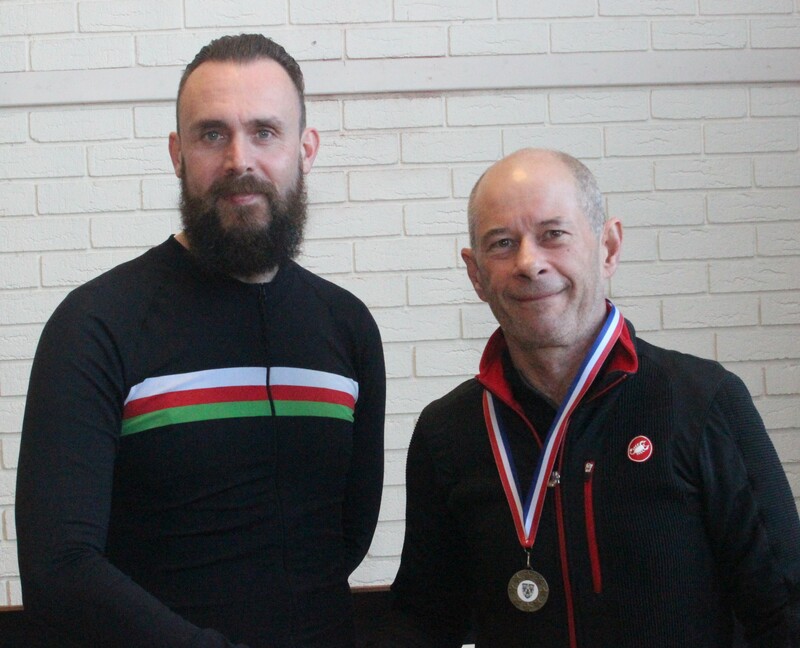 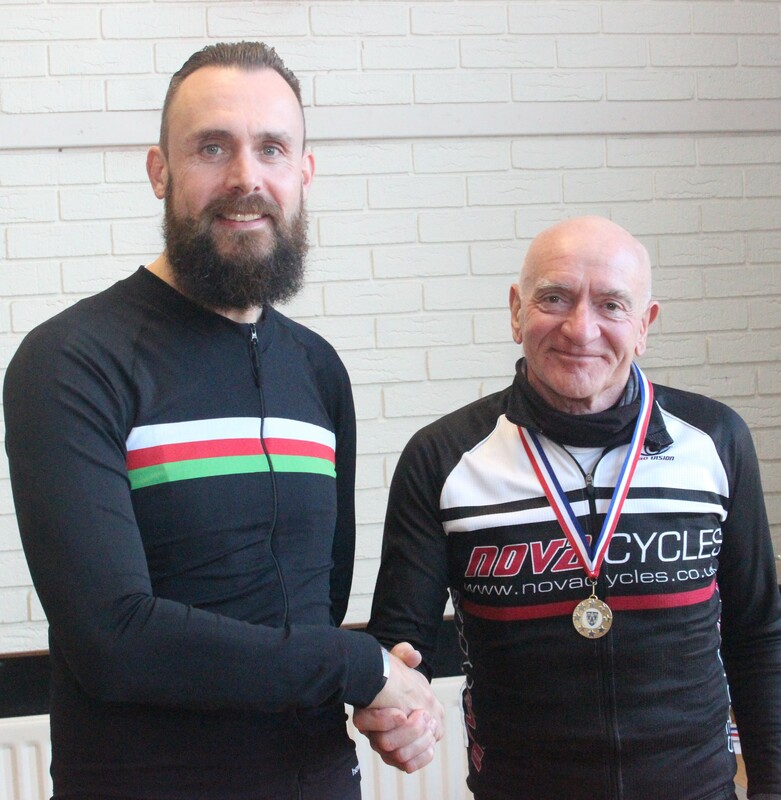 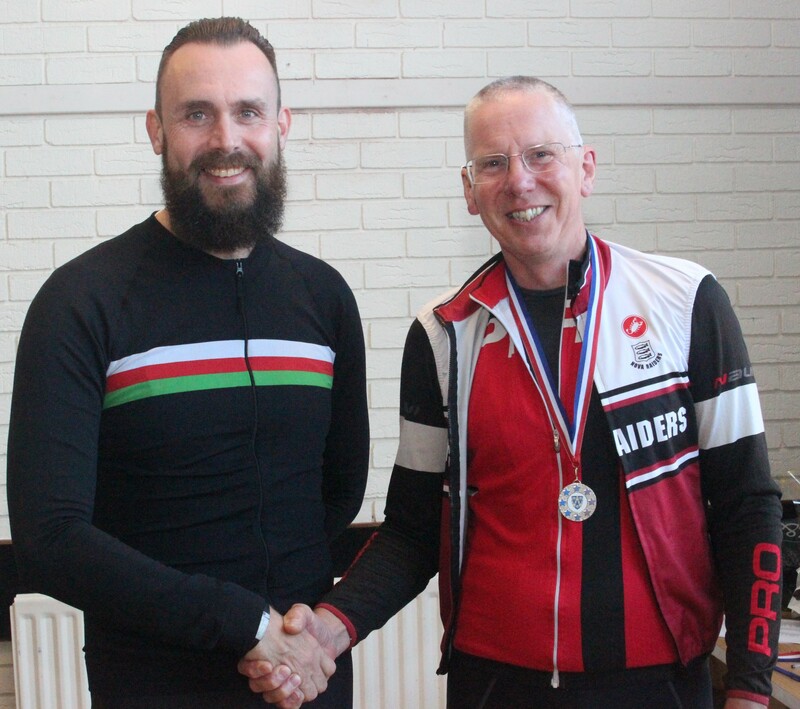 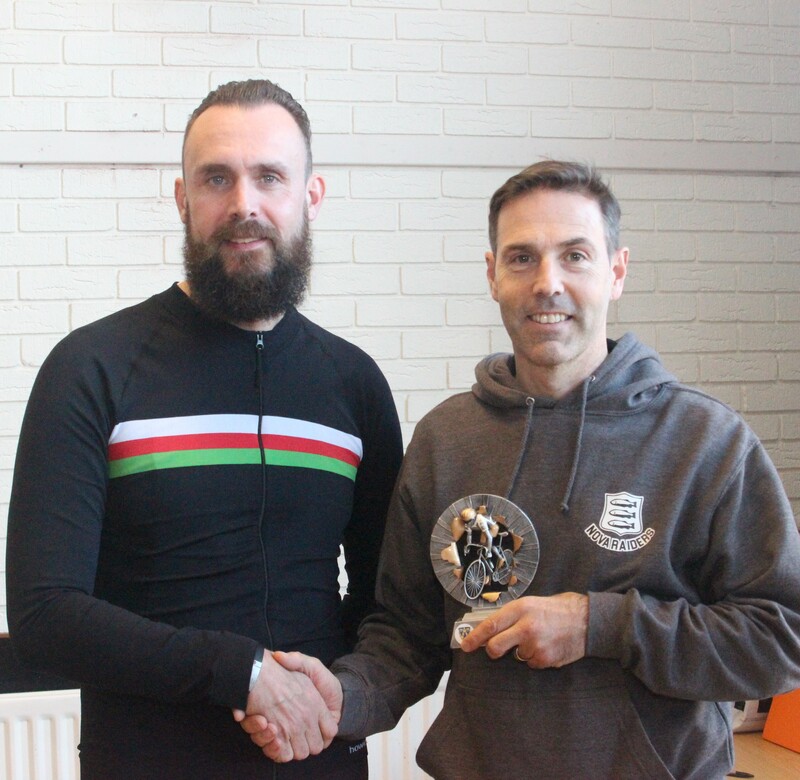 Long distance specialist Chetta also snaffled the Veteran’s Best all Rounder as well as the Jack Parker 100 mile Trophy for the 4th year running and retaining the 50 mile Trophy. 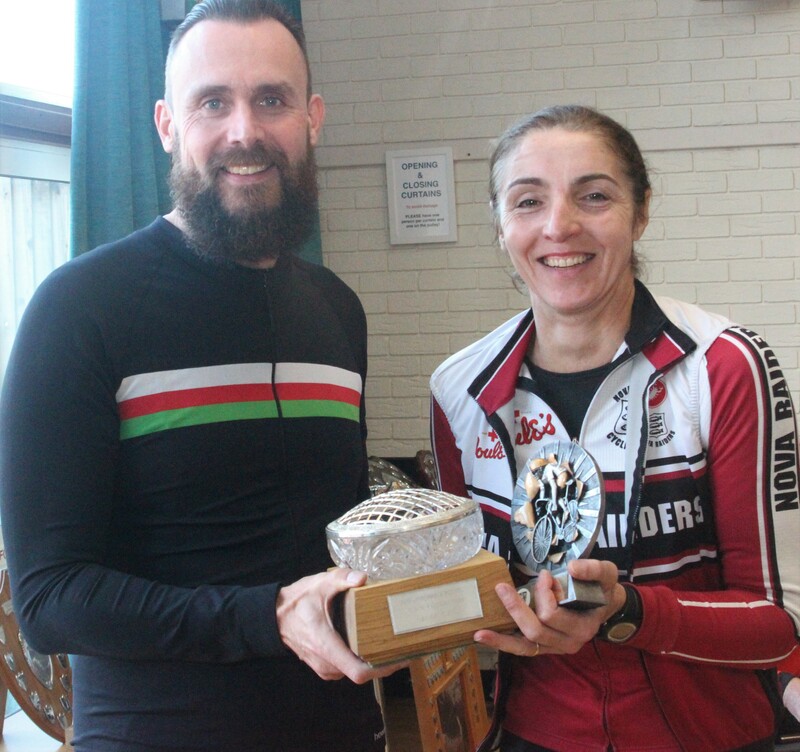 Several riders took three Trophies each with Bryn Davies, Jenny York, Kirk Vickers and Kieran Morris taking home 12 between them. 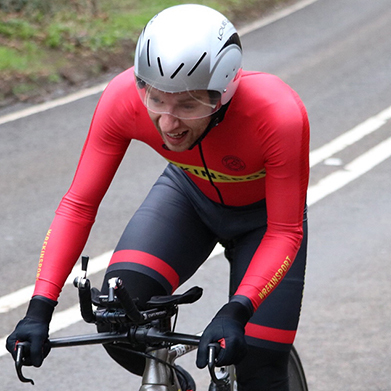 Vickers has been the only name on the Hill Climb Trophy since the inception of the Coaching Revolutions Hill Climb Series showing his dominance at the discipline and he backed up this with the Road Race Trophy and the Gordon Davies 10 mile Trophy, showing his versatility. 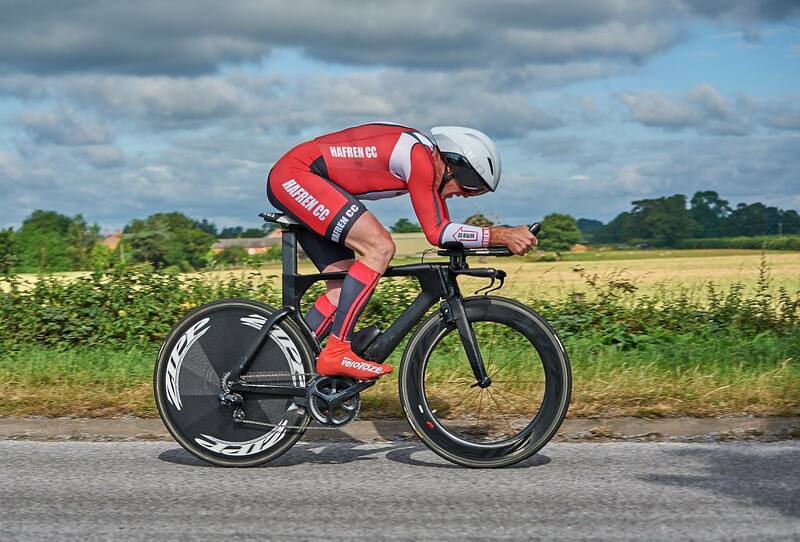 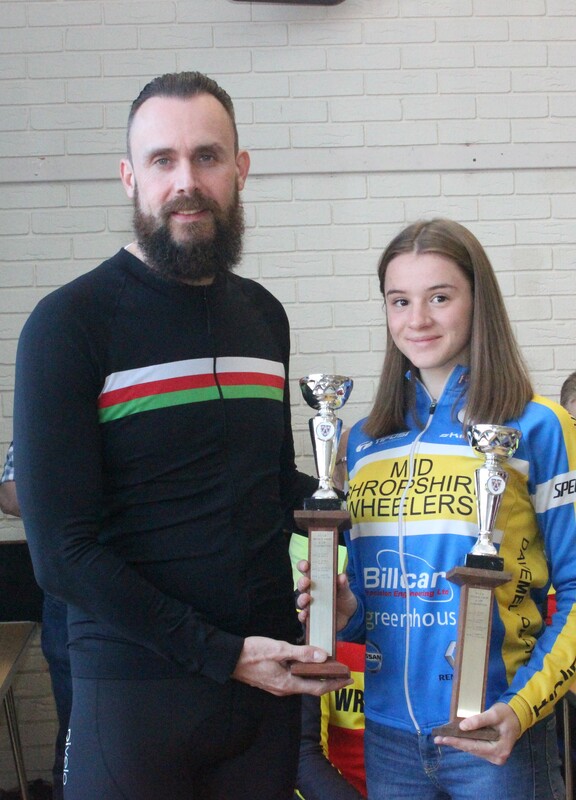 York took home the Shropshire Women’s Championship Shield, Women’s 50 mile Trophy and the President’s Trophy, whilst Morris helped himself to three awards for young riders The Junior Best all Rounder, The Buz Hughes Shield and The Alan Roberts Junior Trophy. 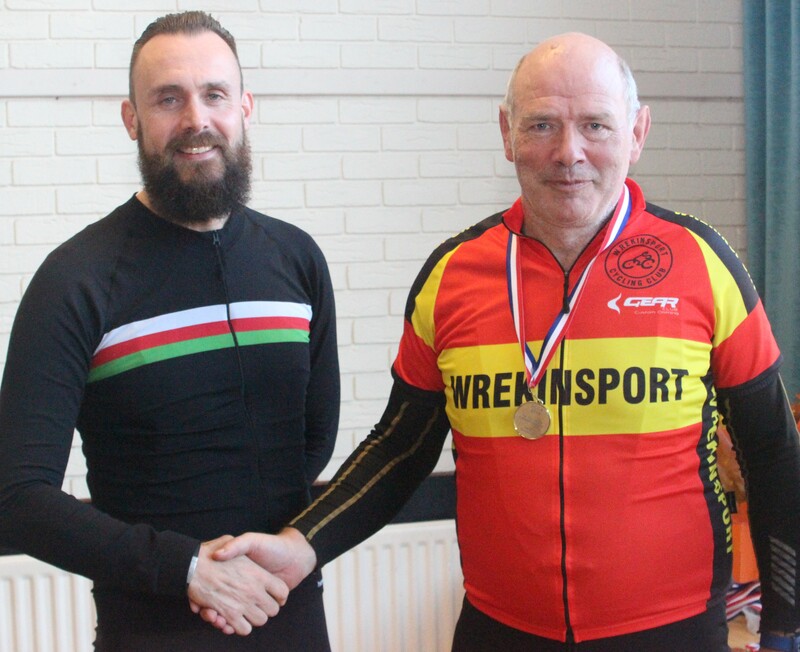 Davies meanwhile retained the Shropshire Championship Shield whilst adding the Inter-Club Trophy and The Shropshire Veterans Championship Shield. 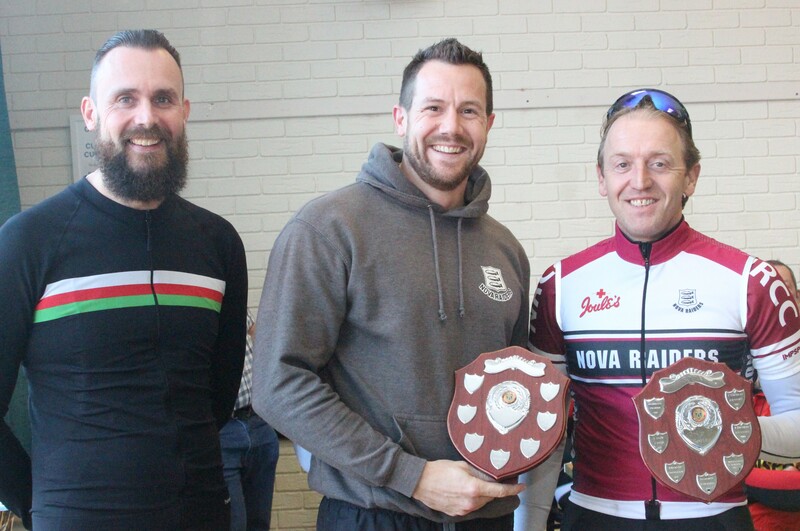 Following the individual awards the Team Awards were handed out with Nova Raiders capturing an impressive four from five awards available. 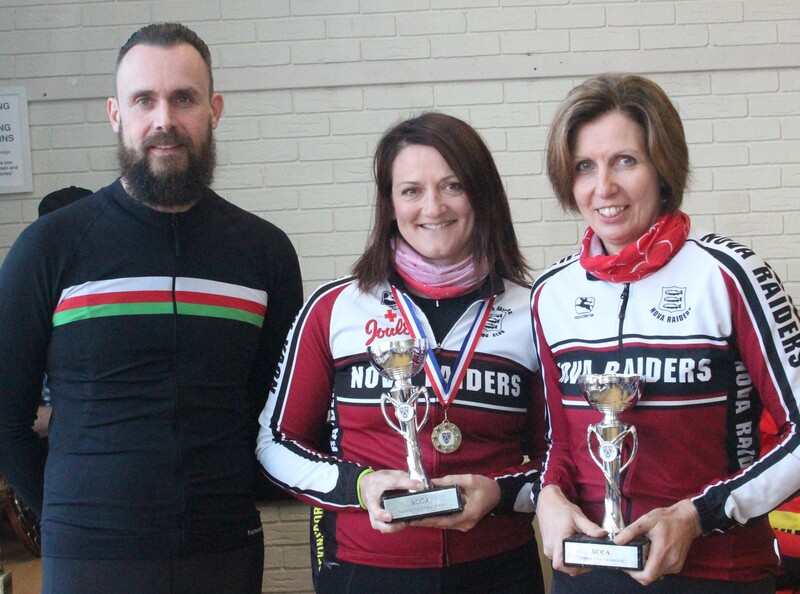 Extremely active in team competitions, Jenny Newton and Jane Chapman retained the Women’s 2-Up Trophies for the third year running, whilst Matt Gibbons and Scott Harris made it a first win of The 2-Up Trophies. 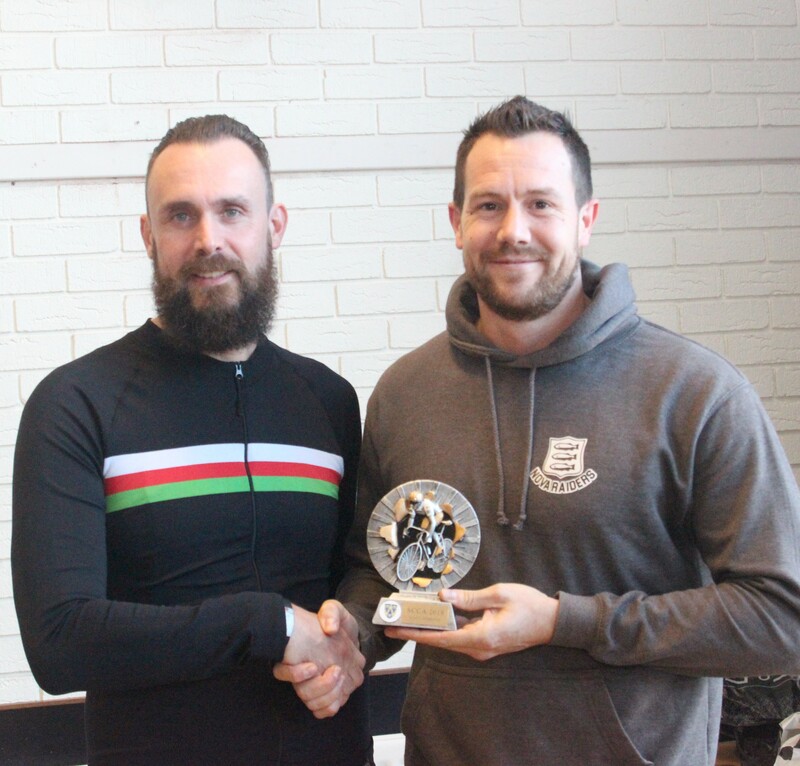 The club also retained the John Farr 4-Up Trophy with a strong performance and retained The Top Club Award after a stellar season. 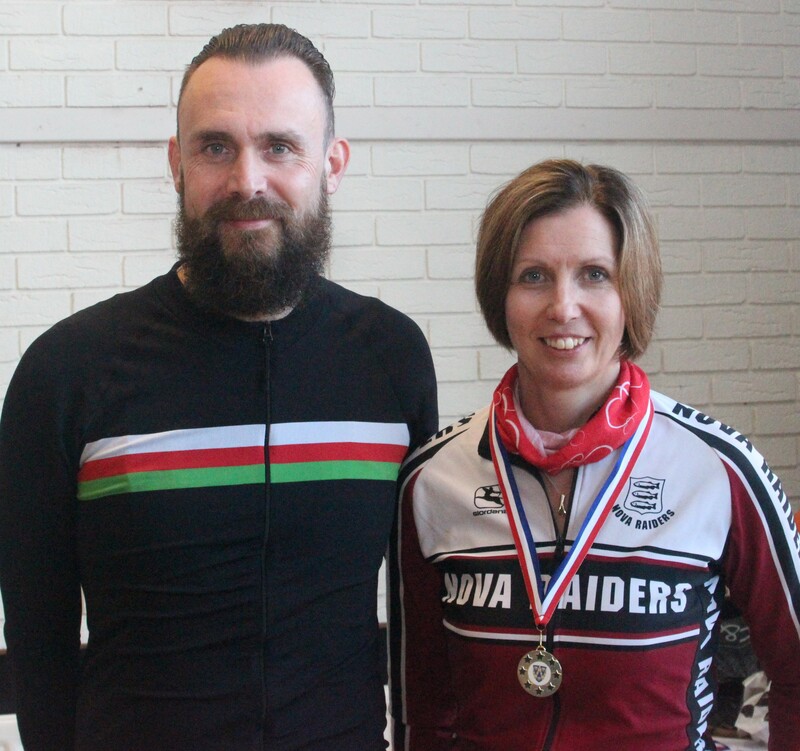 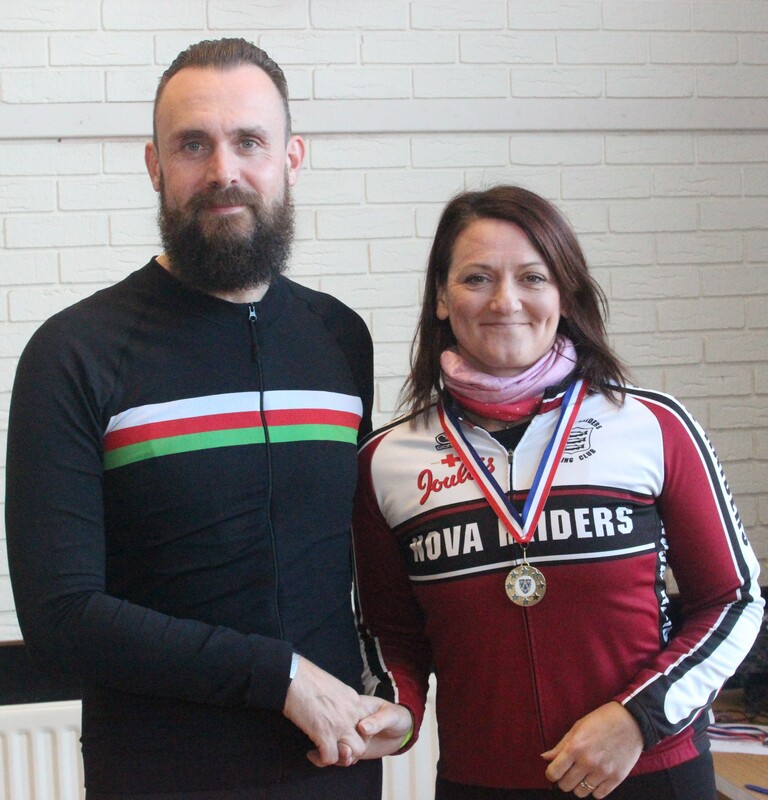 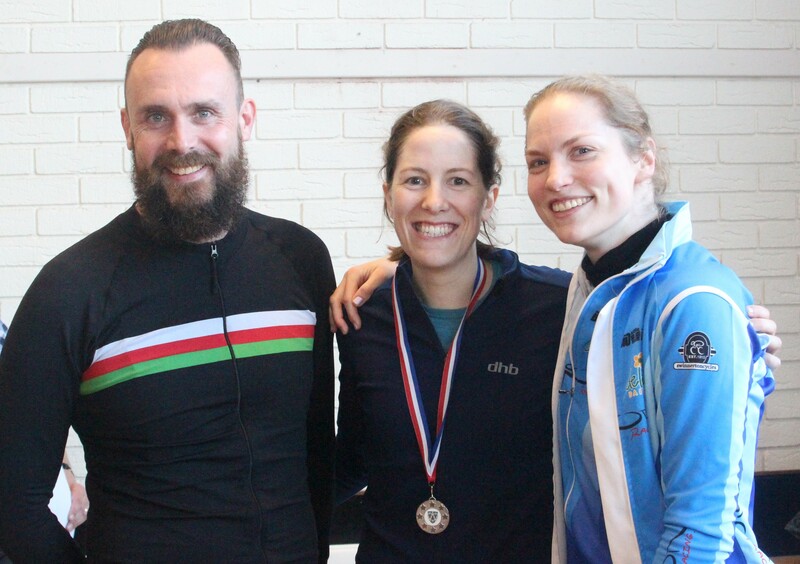 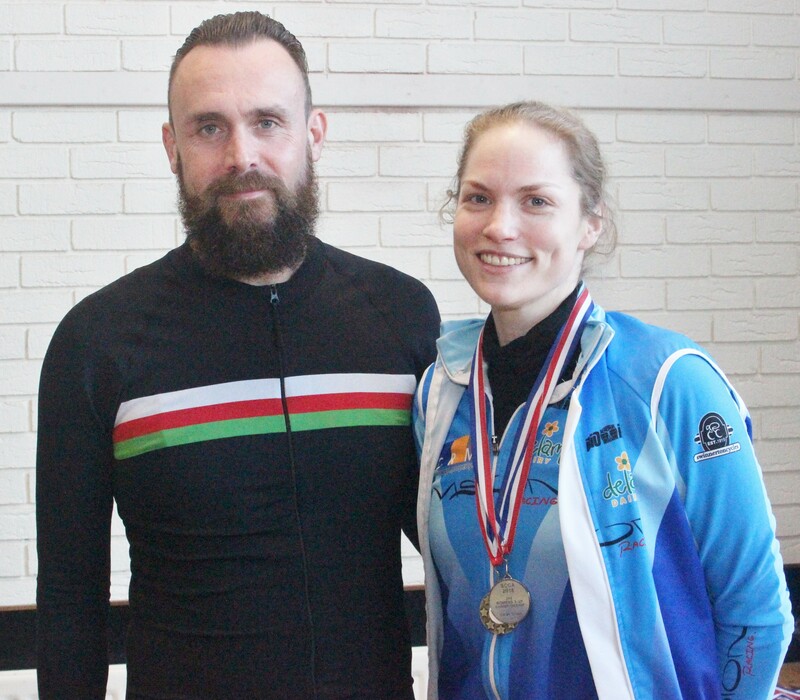 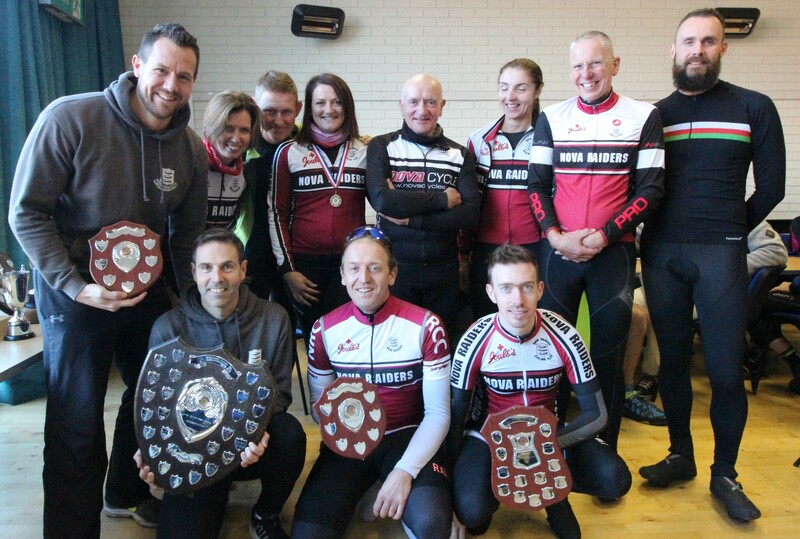 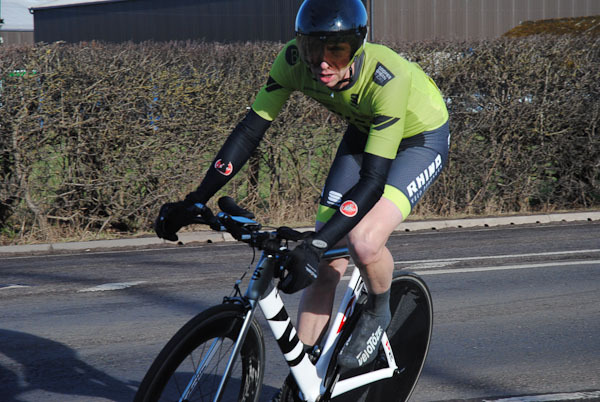 Mid Shropshire Wheelers’ Andy Collins and Lucy Hart spoilt the clean sweep by taking The Mixed Pair 2-Up Trophies. 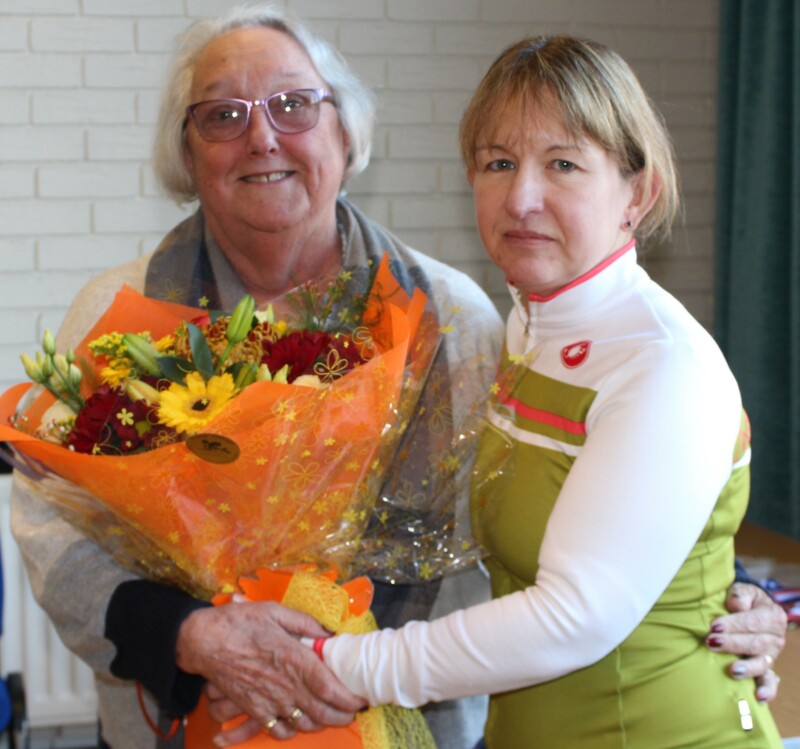 Helen closed the ceremony with a special presentation to stalwart timekeeper Gill Morrison, retiring after an incredible 46 years supporting the sport. 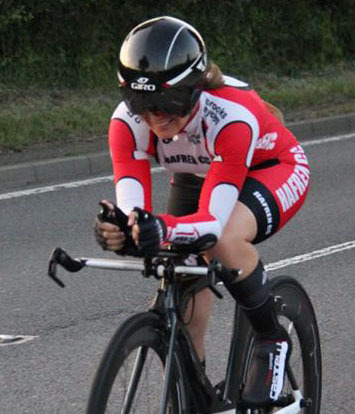 An emotional Morrison revealed she would miss timekeeping but would be around at occasional events – but wouldn’t miss early Sunday starts! 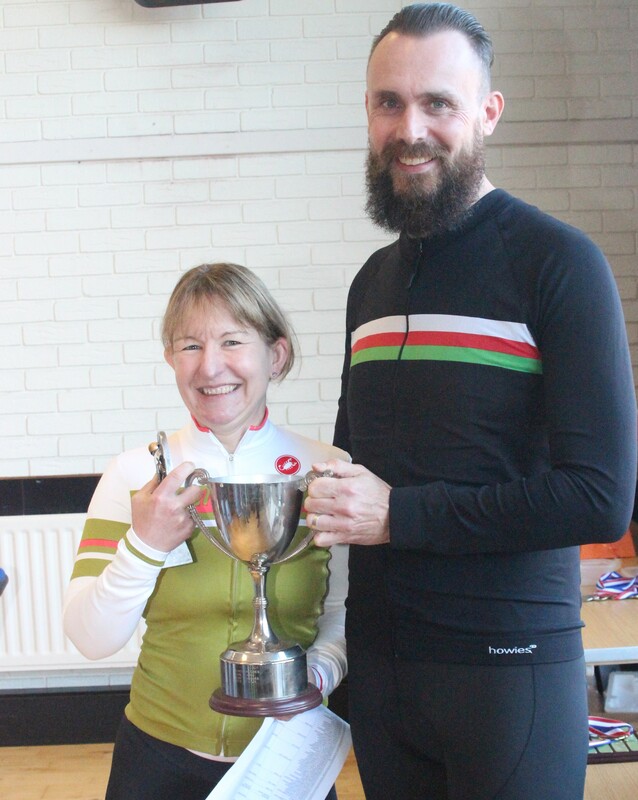 Andy Collins & Lucy Hart – Mixed Team 2-Up Trophies; Jane Chapman & Jenny Newton – Women’s 2-Up Trophies; Matt Gibbons & Scott Harris – 2-Up Trophies; Dan Watts – Freeston Trophy; Deb Hutson-Lumb – Women’s Best all Rounder; Helen Tudor – Women’s 100 mile Trophy; Ian Nisbett – Inter-Club Trophy; James Satoor – Juniors Hill Climb Trophy; Mark Hammond – Veterans Hill Climb Trophy; Rebecca Richardson – Women’s Hill Climb Trophy; Sam Morris – Jack Pitchford Trophy; Henri Bedford – Shropshire Junior Championship Shield, Junior Inter-Club Trophy; Bryn Davies – Shropshire Championship Shield, Shropshire Veterans Championship Shield, Jim Heath Trophy; Kirk Vickers – Gordon Davies 10 mile Trophy, Hill Climb Trophy, Road Race Trophy; Jenny York – Shropshire Women’s Championship Shield, Women’s 50 mile Trophy, Presidents Trophy; Kieran Morris – Junior Best all Rounder, Buz Hughes Shield, Alan Roberts Junior Trophy; Charlotte Chapman – Women’s Inter-Club Trophy, Gordon Davies Women’s Trophy, Brian and Gill Morrison Trophy; Victor Chetta – Cliff Ash Best all Rounder Trophy, Veterans Best all Rounder, 50 mile Trophy, Jack Parker 100 mile Trophy; Nova Raiders – John Farr 4-Up Shield, Top Club Award.